Here is your opportunity to immerse yourself in a tour where you will experience first hand of the heartbeat of kaizen culture. As a team with a proven track record of 20 years of experience as practitioners of KAIZEN, we at Makoto are committed to assisting you for success on your journey of continuous improvement. The Japan Lean Experience (JLE) connects your business to real world solutions. Our professional benchmarking tours engage every aspect of today’s business from operational excellence and business modeling to customer centric challenges. Clearly defined, the JLE is a full-immersion experience into the elements of a Lean culture. This customized program is designed to open our eyes, broaden our minds, and deepen perspectives about Lean thinking. Participants joining our public tour will have unique opportunities to share and learn how others apply flexible lean solutions to their business needs. 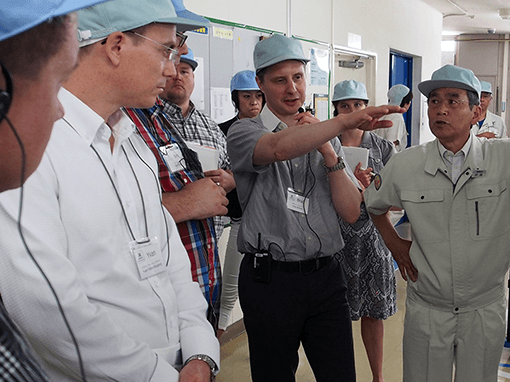 We combine tours to see world class manufacturing principles in action with in-depth classroom instruction in these lean manufacturing principles, and finally a series of practical exercises to confirm the learning. The practical activities include simulations, practical exercises and case studies. Japan is famous for its quality structure, and also for its ability to get employees to contribute to company improvement through kaizen. To learn from the “root”, many consulting firms and company managers will come to Japan to see great operations and incorporate that in their own strategies. 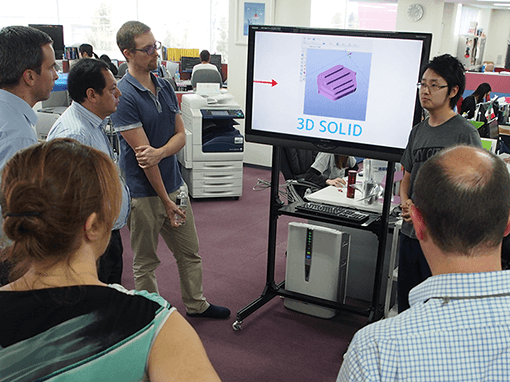 Come and see for yourself what some of the best Japanese companies are doing to increase innovation and remain competitive — even with growing competition from low-cost countries. We augment the knowledge transfer, unpacking your experience so you can make practical application to your own situation. Since we’ve establish long-term strategic relationships with more than 250 organizations in the past 20 years, we are able to provide our clients with an experience right on the “shop floor” to see practical solutions in operational settings. Engaging ideas, systems and practices like no other company can which affords you the maximum exposure of real lean in operations. Because 60% or more of the real waste in business is in the transactional world, we have leveraged our capabilities with our clients to ensure that serious consideration and value is given to managing the back of the house kind of operations with solutions in transactional settings. Experience first-hand how lean solutions are influencing digitalization & office capabilities. “Sincerety” … “Truth” … “Trust/Belief” … it’s in our DNA! From our Lean experts (consultants and Japanese senseis) with more than 20+ years of helping companies transform to our logistic and linguistic team, Makoto is perfectly situated to make your tour a lifelong learning and unforgettable experience. We have the passion, purpose and commitment to helping your team or organization achieve sustainable solutions. Your hosts at Makoto are all practitioners of Lean and hold a variety of experience working in Japan and abroad on improvement projects. Because of this, your guides can to help you interpret what is seen and what is hidden, what is said and not said, and how it can be effectively applied in cultures outside of Japan. As facilitation experts, we will keep you engaged and challenged as you debrief after each visit and discuss the key takeaways that can be then “taken home” to share back in your organization. We plan to visit five world-class companies have been specially selected to provide for you holistic learning experience for your Lean journey. Each site has been hand-picked for their expertise and commitment to Kaizen and Lean — we are certain that this will be one of the most valuable experiences in your careers as managers and leaders in process improvement. Not only will you get to have an inside look at their operations, but you will also have the opportunity to meet the leaders that have driven the Lean transformations in their organizations. You will come away with a keen understanding of how the principles applied work, as well as seeing first-hand practical examples on how each principle is driven in the organization and woven into the culture of the company. $6,800 USD — Price includes hotel accommodations, meals, plant visits, and all logistic travel that takes place in Japan. During this five-day engagement, participants will have exclusive access with Makoto’s Lean facilitation experts and interpreters, plus opportunities to have meals with the site managers. The tour will start late Sunday evening and end on Friday evening, departing on Saturday. Seats on the Public Tours are limited. To receive more detailed information about the tour, contact us today by filling out the form below. Until you actually see it in action and discuss what you see with your team, Lean won’t happen. If you want a transformation, your whole team has to see it and they have to see it together. Seeing how good Lean can be with Brad, and linking it to my faith, has made a huge change in my life and my company. What impressed me the most was the personal relationships Makoto had with the companies we visited which allowed us a close-up first-hand look at how a company should be run. Their openness to our questions and their willingness to share their techniques stems from this relationship. I enjoyed the trip very much. The whole experience helped me in identifying what common themes from world class companies are applicable and what can be implemented in our facility in terms of culture/ philosophy and infrastructures. It also helped me to a certain extent in getting the support of my superiors because they were part of my ‘Kaikaku’ experience.